I don’t know of many friendships that have lasted as long as Larry’s and mine. Many, many years and miles and miles apart. Larry and I met when we were stationed at Brooks AFB in San Antonio, Texas in 1969. Yes, we are older than dirt. He and I both worked at the base dispensary. Larry worked in the flight surgeon’s office just down the hall and I worked as an x-ray technician. We soon became good friends when he became my roommate after his divorce from his first wife. We were two kindred spirits. While in the Air Force we spent our time spelunking (exploring caves), exploring the Texas Hill Country, camping, cliff diving, swimming daily, chasing girls (didn’t catch any thank goodness) and meeting some of the greatest people on and off base. It was a fun time with a lot of good memories. My wife Janet thinks we could be brothers because we are so much alike. We like the same things, even think alike about most nearly everything and we have the same weird sense of humor. Larry’s tour of duty was up in November of 1971 and mine was up in August 1972. Larry returned to his home in Georgia and I moved to Dallas, Texas to resume my job with Geophysical Service, Inc. Larry remarried and I married the love of my life in 1978. We kept in contact over the years but because we each had families and we lived so far apart it was difficult to get together. Our first motorcycle ride in July 1978. Our first motorcycle trip together was in July 1978. I rode a KZ400 and Larry rode a KZ900. I rode from Houston, Texas and met him and our other friend Larry T. midway. From there we rode back to Larry’s home in Bryant Alabama. The Larry’s have been friends since their childhood. It is fun introducing them… “Hello, this is my friend Larry and this is my other friend Larry…” I know it is confusing having two friends named Larry. Soon after that first ride in 1978 we both stopped riding to start our families. In 2000 we both renewed our love of riding. We were both empty nesters, so we had more time and money to do the things we have longed to do for so long. We both bought 2000 Kawasaki Vulcan Nomads. 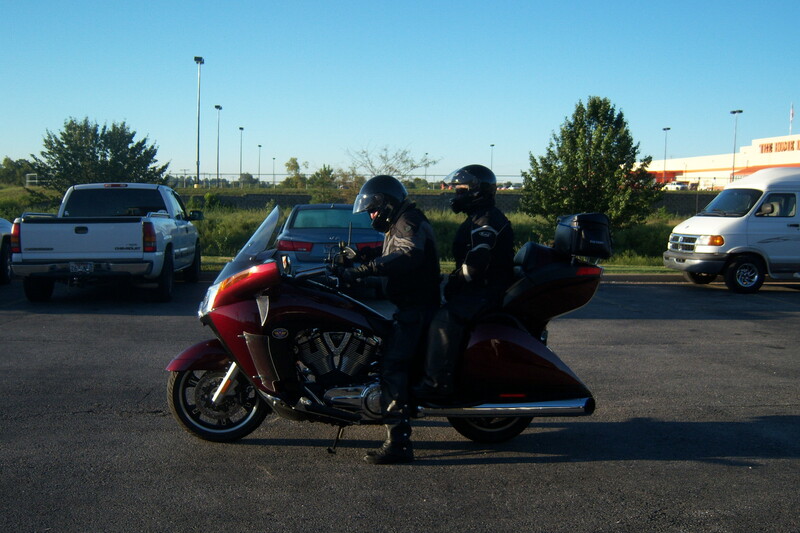 Our first trip together after laying off so long was the first leg of the “Trail of Tears Remembrance Motorcycle Ride” in 2001. 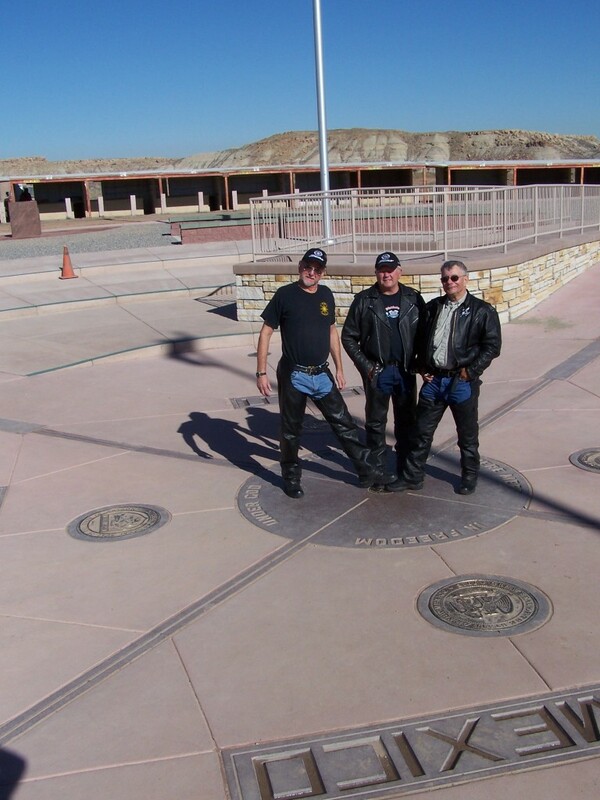 The following year we rode to the Big Bend area of Texas. Over the years we have done many rides together. You can read about many of those rides here. I haven’t added all of those rides to this blog yet. It is a work in progress so keep checking back for new post. 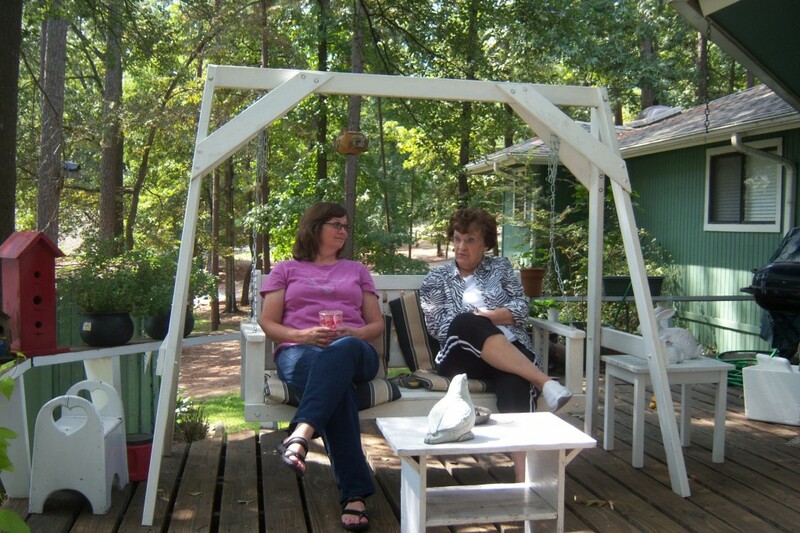 Days 8, 9, 10 – Harrison, AR Motorcycle Ride – Heading to Aunt Imogene’s and then home. It rained last night and was still raining this morning. We had planned to be on the road by 10:00 but waited until almost 11:00 to let the roads dry a bit. It was a cool morning but warmed up quickly. It seemed that the closer we got to Texas the warmer it got. Today we rode more of scenic Hwy 7 to I-30. Again, there were lots of curves with great views all along the way. We rode through Hot Springs, my favorite city in Arkansas. 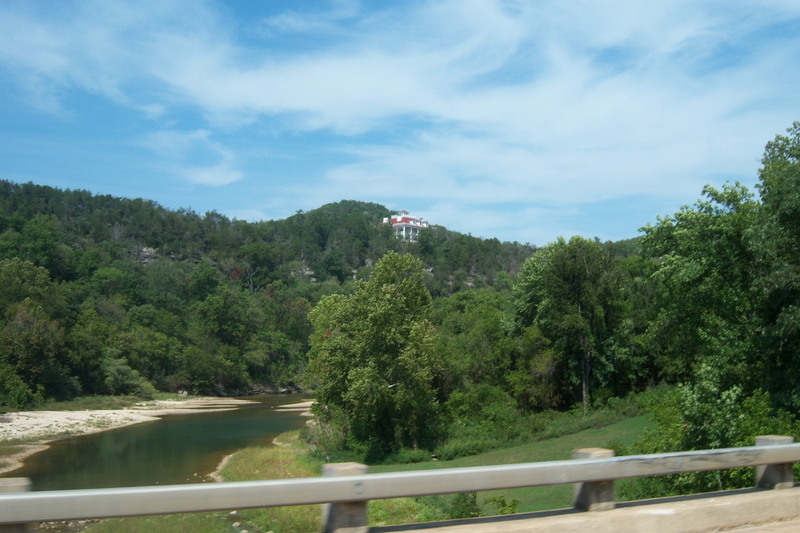 We didn’t stop this time but if you do have a chance you need to spend time in Hot Springs. There is so much to see and do in Hot Springs. Hot Springs and Hot Springs National Park owe their existence to an array of springs that still supply naturally heated water for thermal bathers. The Fordyce Bathhouse, on famous Bathhouse Row, now serves as the park’s visitor center. From Bathhouse Row to the Gangster Era… Hot Springs is rich in history. 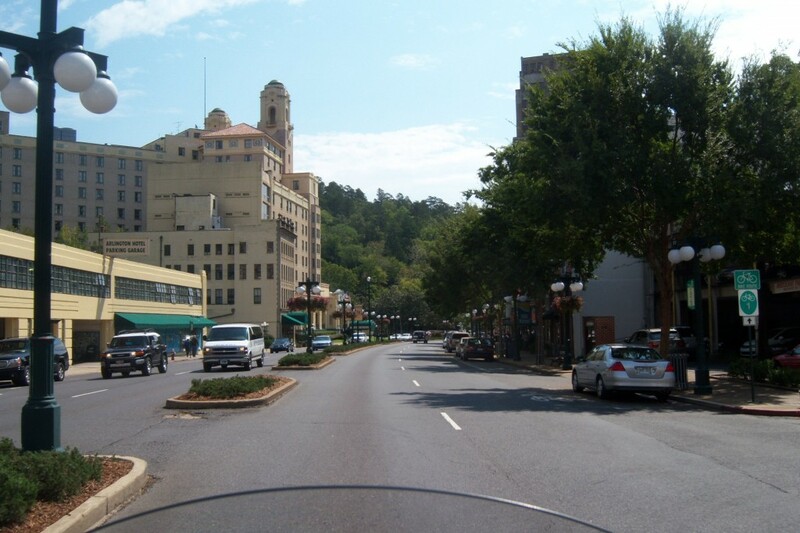 The city is also known for many annual events including the Hot Springs Music Festival, Hot Springs Documentary Film Festival, Valley of the Vapors Independent Music Festival, Hot Springs Jazz Festival, Hot Springs Blues Festival, the downtown Bathtub Races and the World’s Shortest St. Patrick’s Day Parade. I wish we could have delayed our ride by a few weeks. The fall foliage should have been good then. Fall is a beautiful time of the year to visit Arkansas. 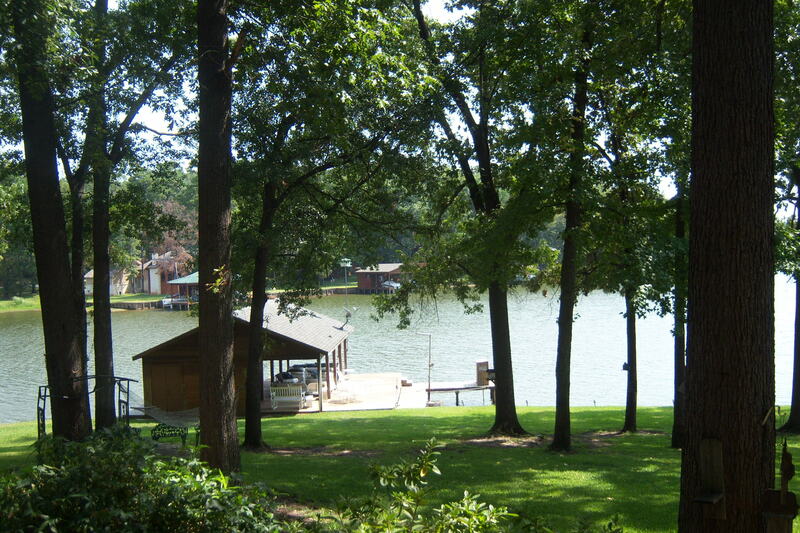 Aunt Imogene lives on Cypress Springs Lake near Scroggins, Texas. 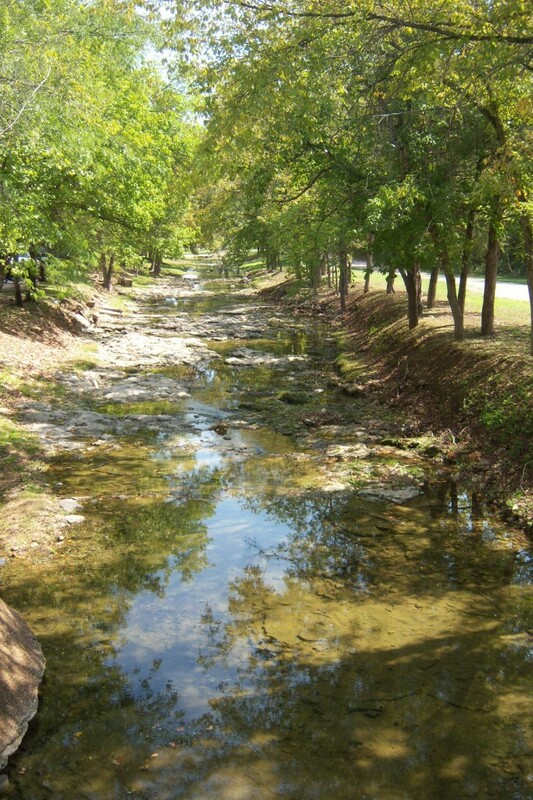 It is a scenic area of north-east Texas. There are many scenic motorcycle roads in the area… We arrived at Aunt Imogene’s later that afternoon. We love visiting her for several reasons. We always have such a fun and relaxing time there, playing fun games, sharing memories and stories. Oh and did I mention coconut cream pie and she is just an all around great cook. We always eat too much while there. Another favorite pastime is sitting on Aunt Imogene’s deck enjoying the relaxing view of the lake while being surrounded by beautiful trees. We took a day off from riding and just enjoyed our time with Imogene and tried to finish off that coconut cream pie. Good time and great food. We were up early, had a good breakfast of biscuits and gravy and then we headed back home after saying our goodbyes. We promised Imogene we would get back sooner next time. 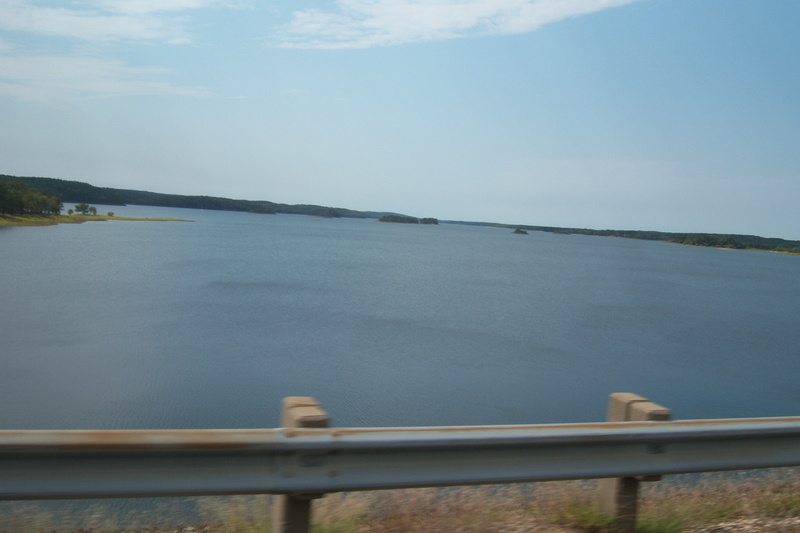 The ride home was through more of scenic East Texas. The down side of today was the temperature got into the mid 90’s. It was so hot that we removed our jackets. When we bought the Olympia Airglide 3 jackets, we hoped we could wear them when the temperature climbed into the upper 90’s. It was nice to get home after riding 2035 miles over the past 10 days. 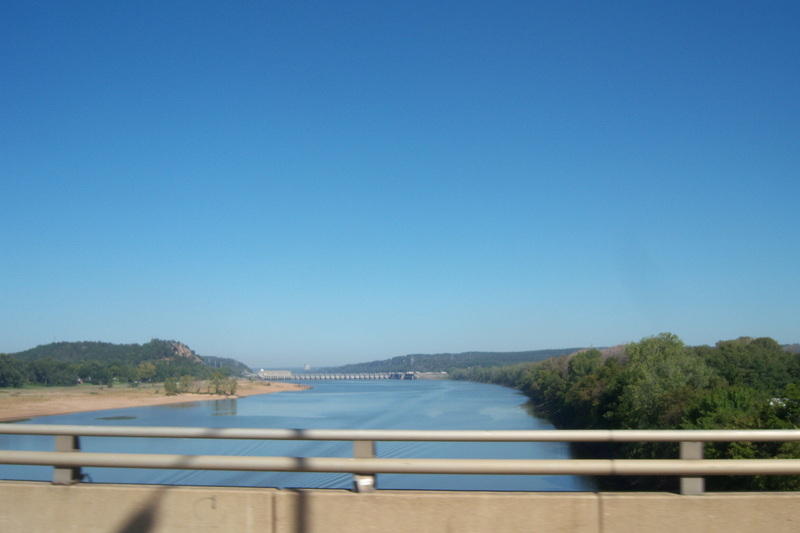 We rode some beautiful scenic motorcycle roads with good friends, learned more history of the “Trail of Tears”, visited a couple of old forts rich in history, met some nice people along the way and took this opportunity to visit family on our return ride home. All in all it was a fun ride. We will return to explore the area more in the future. I Haven’t Been Everywhere Man… But I’m Working on It! I would ride more but life seems to get in the way. We are always looking for new places to ride. If you have a favorite place to ride please leave a comment telling us about it… or better yet leave a link to your blog about it or someone else’s blog or website… We love photos too. We might add your ride to our “Ride Bucket List”. Thanks for stopping by and thanks for your comment. Ride safe… I hope we meet somewhere down the road. 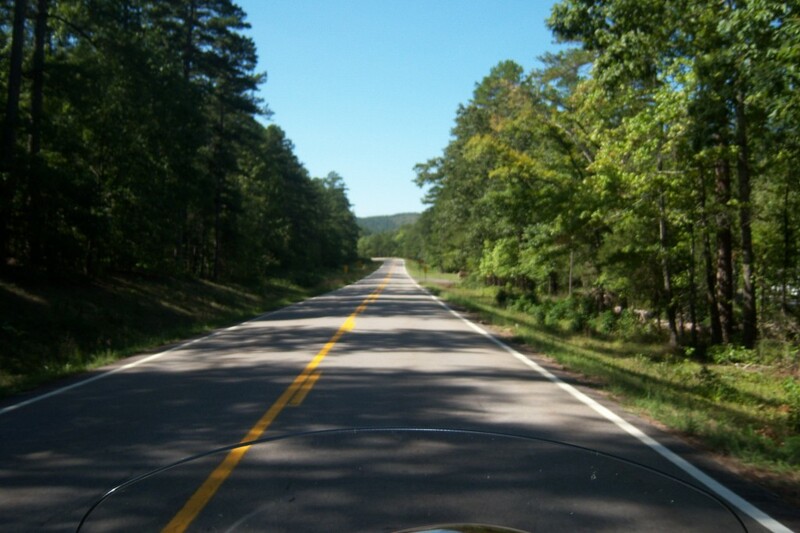 This is day 7 of our Harrison, AR motorcycle ride. We were up at 6:00 to see Larry C, Larry T., Shirley T. and Alfred off. We are saying goodbye until sometime next year. Our riding friends are heading back home to Alabama and Georgia. Over the next few days we will be taking a leisurely ride home visiting relatives as we go…. Today is another good riding day. We will only be riding 149 miles today down Hwy 7 to Janet’s brother Roy’s home in Jessieville. Clear skies and sunshine all the way. Today is day 6 of our Harrison, AR motorcycle ride. It rained last night and was still sprinkling this morning at 6:00. The roads were still really wet. The rain was to move out of the area by this morning. I was a little concerned about riding twisty wet roads that none of us had ridden before. We left a little later this morning, sometime before 9:00, hoping the roads would dry some. There were a few clouds lingering around and it was a bit cooler because of the rain but the roads were dry, for the most part. The sun soon was out and the temperature climbed into the mid-80’s by the end of the ride. I combined the Bull Shoals and Mountain View rides. Because we had so many issues with the GPS miss-routing us on the earlier day’s rides I came up with a backup plan. Combining old and new school, I wrote the directions on a piece of paper for Janet to refer to and verify where the GPS was directing us. This worked really well. The GPS did try to take us on a different route on a couple of occasions. We just ignored the GPS and rode the ride as I had planned it. 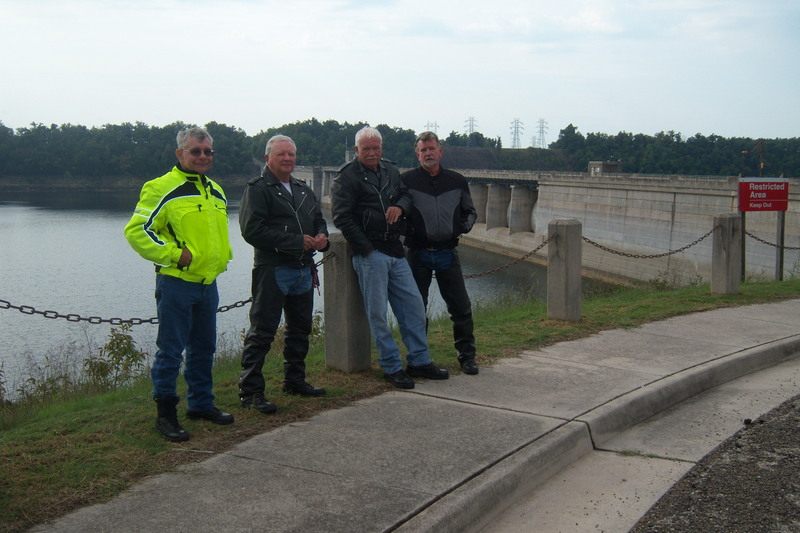 On the Bull Shoals ride we rode Hwy 65/412/62 to Bellefonte where we turned left onto Hwy 412/62. Hwy 412/62 goes to Yelleville. Just before Yelleville we turned left on Hwy 202. Hwy 202 took us to Flippin where we took Hwy 178 to Bull Shoals Dam. 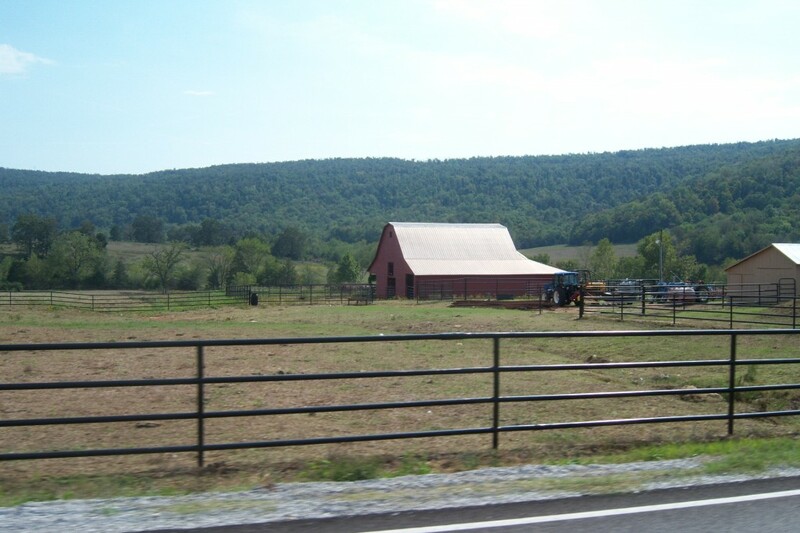 The ride to Bull Shoals Dam we rode through beautiful scenic farm land, across Crooked Creek to Bull Shoals Dam. At the dam we stopped to stretch our legs and take some scenic pictures. 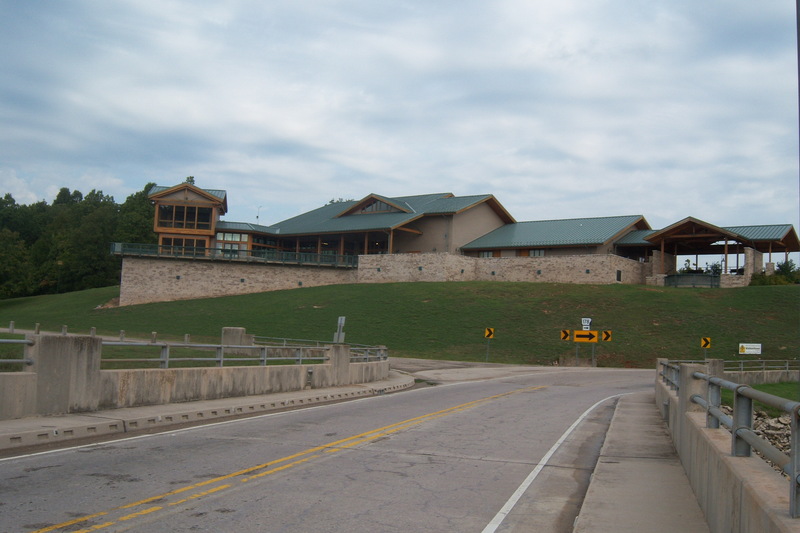 Just above the dam was the Bull Shoals-White River State Park James Gaston Visitors Center. We rode up there to tour the center and use the facilities… The Visitor Center had many interesting displays about the history and ecology of the lake. 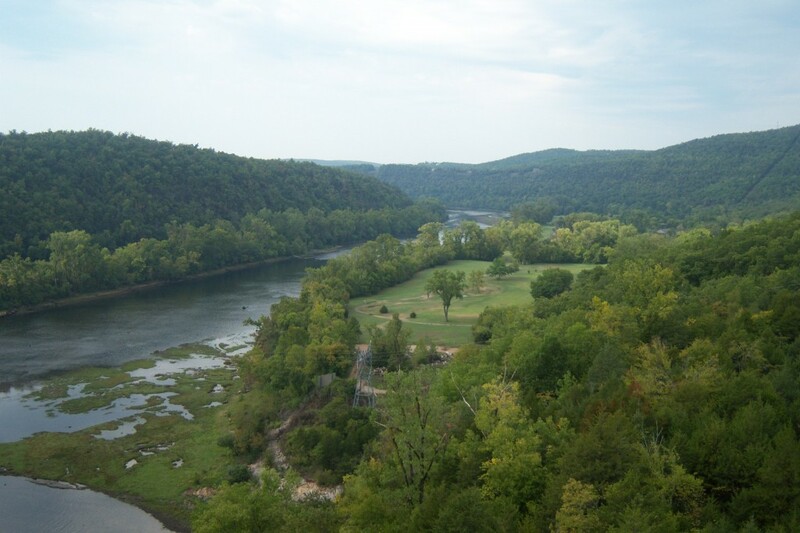 From the observation deck there was a nice view of Bull Shoals Dam, Bull Shoals Lake and the White River. Great photo opts. 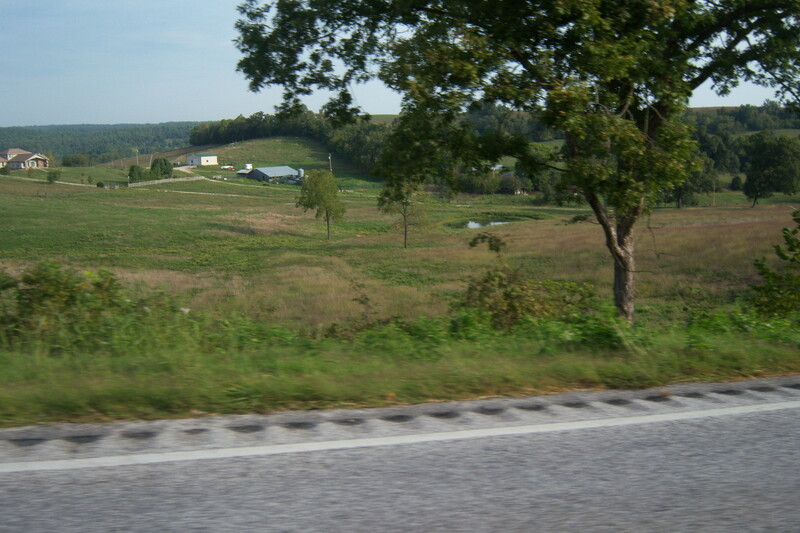 We continued down Hwy 178 to Hwy 126 back to Hwy 412/62 at Gassville. 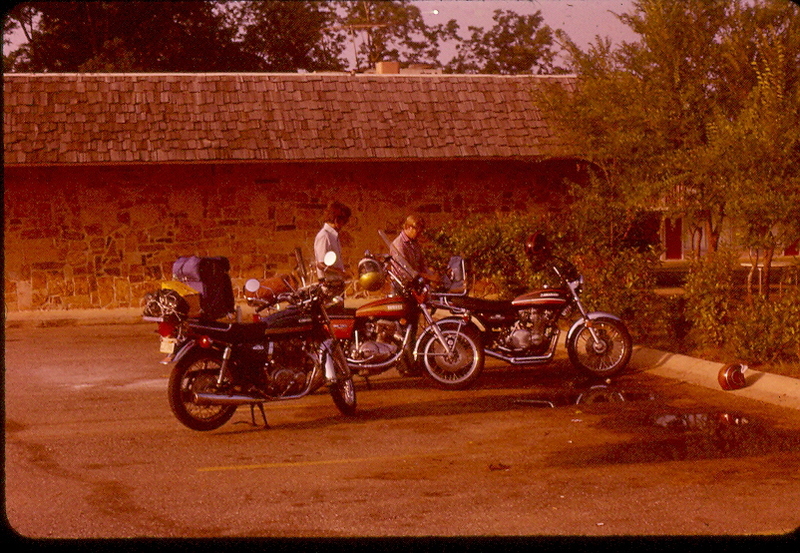 From Gassvile we rode to Yellville where we ate lunch at the Country Kitchen. After lunch we took a few pictures of the stream by the County Kitchen and then walked down to a biker gift shop that was closed. 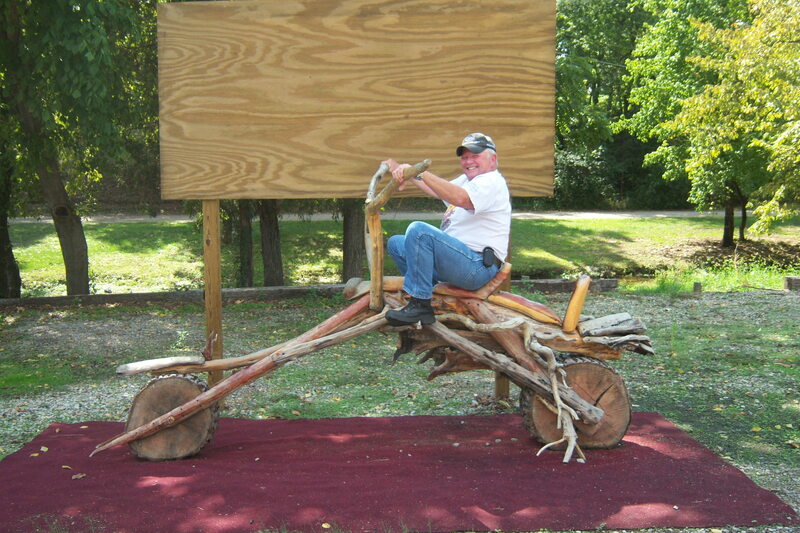 We did get a picture of Larry C. on his dream machine. From Yellville we turned left on Hwy 14 and rode to Mountain View, riding through Harriet, Big Flat and Fifty Six. In Mountain View we stopped for ice cream. Larry C. can never pass up a chance to eat ice cream. It was a nice break. We need to come back and explore Mountain View some other time when we have more time, as it looked to be an interesting little town with a quaint and charming historic square with unique shops and places to eat. From Mountain View we turned right onto Hwy 66 to Leslie. At Leslie we turned right onto Hwy 65 which took us back to Harrison and the end of our ride. Today ended our time in Harrison. 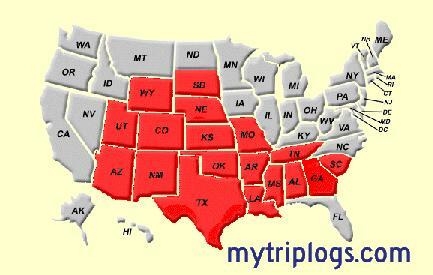 In the pasted three days we have ridden some of the most scenic motorcycle roads in the Arkansas and enjoyed meeting some very friendly and interesting people along the way. My one regret is that I did not plan more stops on our rides. We hope to return one day and spend more time exploring the area. 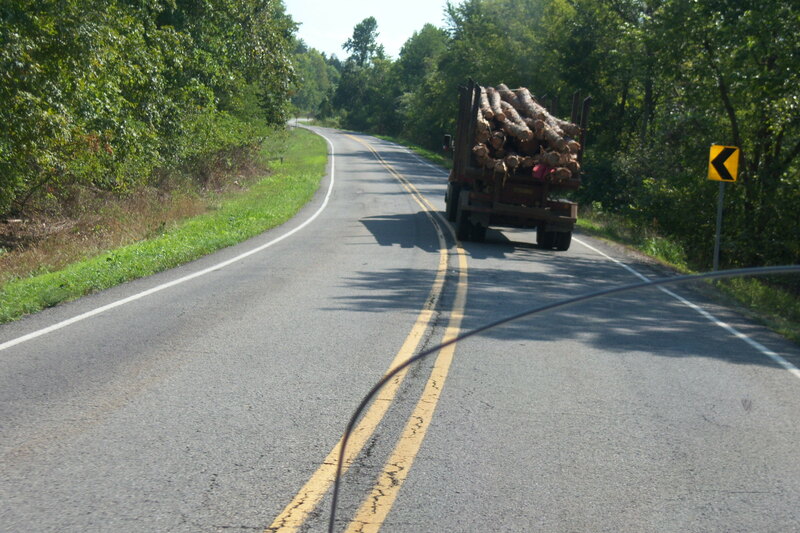 Stuck behind a logging truck. 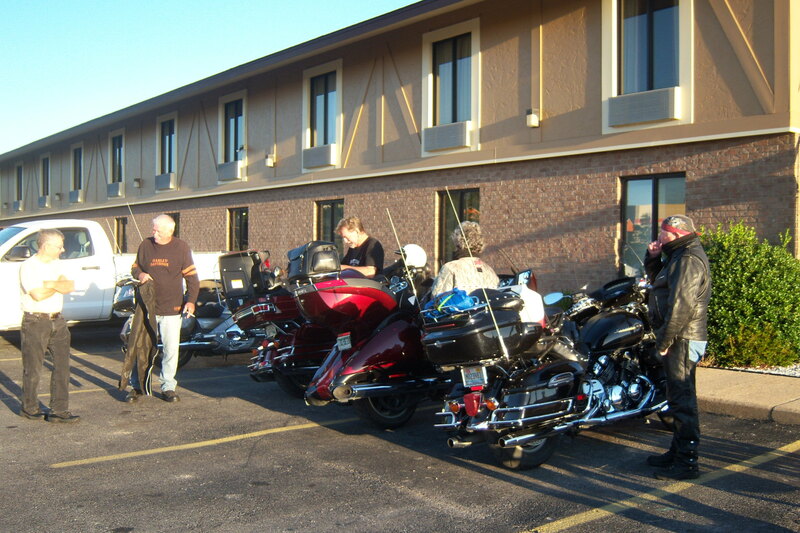 Tomorrow we will say goodbye to our riding friends, Larry C, Larry T, Shirley T and Alfred. They will be heading home to Alabama and Georgia. Too bad we can’t ride together more often.